Home » Blog » What Transmission Do I Have? How To Check? The transmission is one of the most complicated components of a vehicle, mainly because it has so many moving parts. Not many people know exactly what type of transmission they have. In fact, most people think that there are only two types of transmission: manual and automatic. While these are the two main types, there is more to each type than just that distinction. Unless you are a mechanic, or just like to know the ins-and-outs of your vehicle (car, truck, light truck, etc. ), there’s a chance that you don’t know exactly what transmission you have in your vehicle. You would be doing yourself a favor to learn a little more about your transmission when you have to get some repair work done or something just doesn’t seem right with your vehicle. Let’s go over some of the main types of vehicle transmissions and how you can find out which one you have. 1 What Are The Transmission Types? 2 What Transmission Do I Have? How Can I Find Out? What Are The Transmission Types? A vehicle with an automatic transmission is one of the most complexes when it comes to how it actually works. But from a usability standpoint, it is the simplest, which is why it is the most common type of transmission on the road today. The learning curve for an automatic transmission is one of the lowest since it’s so easy to learn. If all you have to do is to press the brake pedal and move your gear shifter into reverse or drive, you have the luxury of an automatic transmission. It will automatically shift gears for you as you drive, which makes for a much simpler driving experience. Of course, there is a mechanical complexity to it behind the scenes. But you don’t have to worry about that unless something goes wrong. When you open the hood of your vehicle, you may see a code stamped on the transmission, or even a tag hanging on it. This will help you identify whether you truly do have an automatic transmission or not. The pan shape of the transmission is probably the quickest and easiest way to tell which type it is. Most of the automatic transmissions are either square or shaped oddly. If you still don’t know whether you have an automatic transmission, you can measure it and find a chart with a quick online search to match the dimensions to yours and identify it. The manual transmission is one of the oldest and most trustworthy types of transmissions that are still made today. You may have heard it referred to as a standard or a stick shift as well. As the driver, you have to manually operate the clutch with your foot and shift into different gears accordingly. The learning curve for a manual transmission vehicle is much greater than the other counterparts. But there are some advantages to having one. Since the transmission is much less complex, it means that repairs will not be as costly or as difficult to fix. Drivers still enjoy a manual transmission because they have more control over how the vehicle runs. Besides, you will generally get better fuel economy than with automatic transmissions. Identifying manual transmissions can be difficult. The 3-speed, 4-speed and 5-and-6-speed transmissions all have different characteristics. You can find them in diagrams online if you are unsure what they look like. Things to consider when looking at the manual transmission include the position of the selector’s arms, and whether the mounting studs protrude from the side case or if the selector’s arms are secured with a bolt. Knowing this information, combined with a diagram or chart of common characteristics of manual transmissions, you should be able to positively identify the type of manual transmission you have. These types of transmissions aren’t very popular for a variety of reasons. It is essentially a hybrid between a manual and automatic transmission. A semi-automatic transmission has a similar design as an automatic transmission, while dual-clutch transmissions have separate clutches for even and odd gears. This may seem complicated, but once you get the hang of it, you will see how fast you can shift gears. Since they have the ability to shift gears rapidly, you can find these types of transmissions in sports cars that are built for speed. As a result, they are very expensive and, due to the complex nature, are very costly when it comes to repairs. From a driving standpoint, you won’t notice much the difference between a continuously variable transmission (CVT) and an automatic transmission. From a mechanical standpoint, the CVT uses a belt and pulley system, operated by the vehicle’s computer, instead of gears to create the perfect ratio for the driving conditions. This is beneficial because it gives the vehicle a much better fuel economy than any other transmission available. They won’t break down as much or be as costly as an automatic transmission, but they also aren’t as efficient as a manual transmission. What Transmission Do I Have? How Can I Find Out? Since there are more than 200 types of transmissions made in vehicles today, it can be very difficult for the average person to determine which type they have. The VIN number can be found on either the driver’s side door or on the dashboard. It will be on a white sticker with black lettering that also includes other information about your vehicle. It will be a 17-digit code that comprises a combination of letters and numbers. Each of the numbers means something specific to your vehicle. To know exactly the transmission type of the vehicle, you can look up on some websites that can help find transmission identification by VIN such as checkmycar.com and autocheck.com. 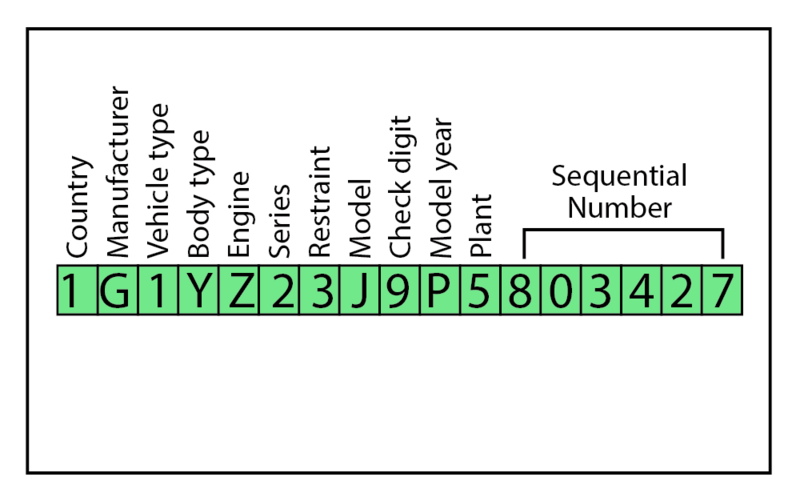 Also, you can take that VIN number to an auto dealership or repair shop, they should be able to put the VIN number into their computer and tell you exactly what transmission type you have. If you want to look up your transmission on your own, the ATRA transmission lookup tool is a great place to start. You’ll just need to input basic information like the year, make and model and the tool will provide you with the transmission code. Once you have that, you can take the code to the dealership to get the parts you need or do more research online to learn more about your vehicle’s transmission. Even people with experiences choose to use the simplest methods of identifying the transmission mentioned above. You can essentially find out your transmission type in a matter of minutes. There’s no need to spend more time than is necessary to identify the type of transmission you have. While these are the two easiest methods for any person to identify their transmission, they aren’t the only ways. If you have a little more knowledge about vehicles, then you could find out the transmission type a few other ways. 1995 Chevy c1500 2wd 305 ci What is model # of my auto trans? I think you’d better ask the manufacturer for the exact model. Is it an American car? Really a helpful article with lots of information.